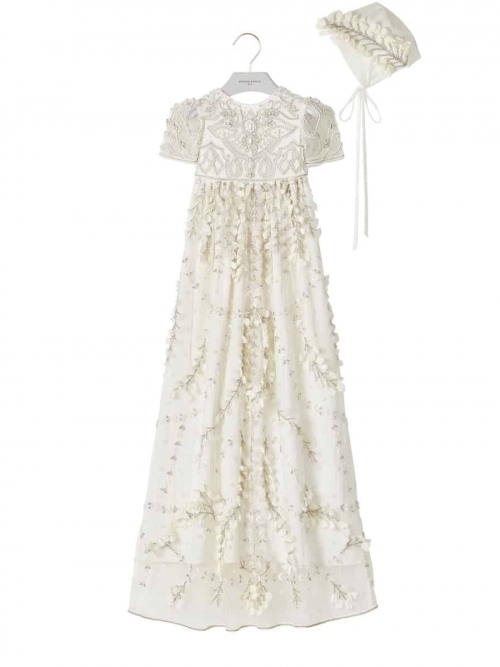 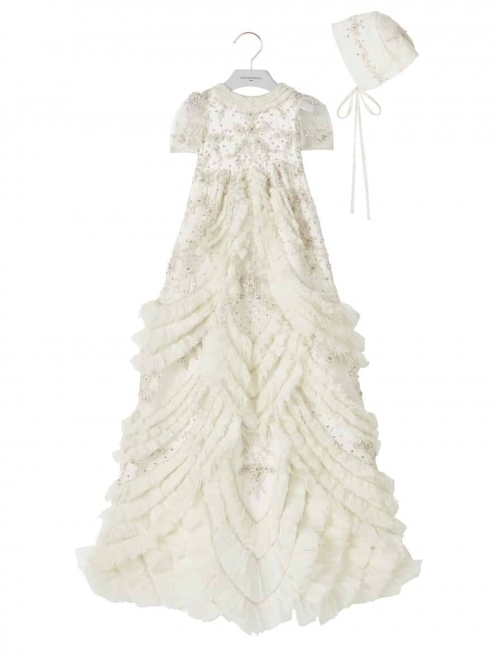 The Arles is an opulent embellished christening gown and bonnet pairing in timeless Steven Khalil style. 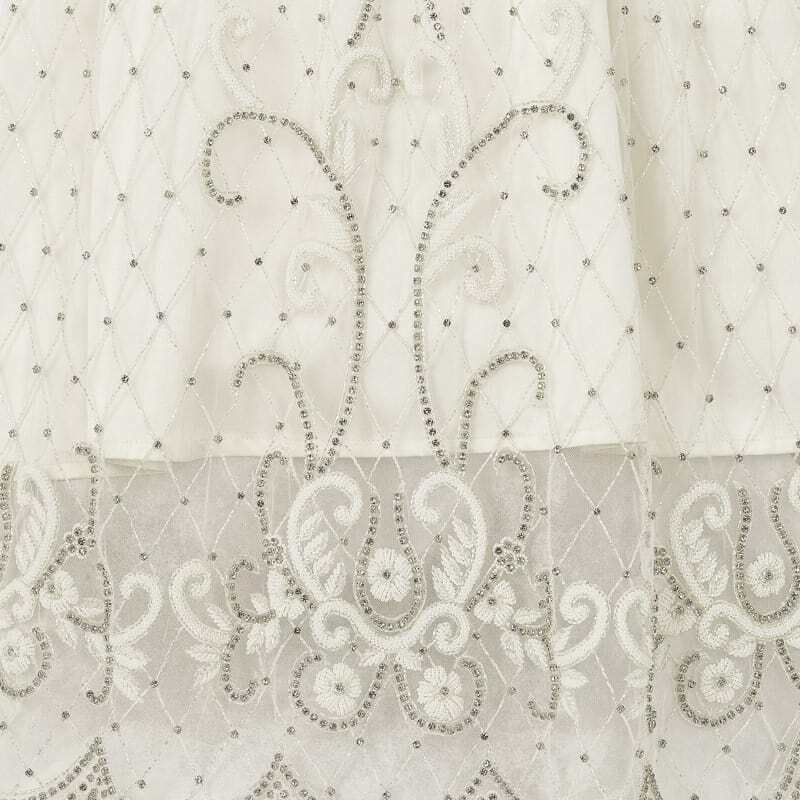 Featuring an elegant, hand-beaded lattice design, framed by intricate, sparkling beadwork at both hemline and bodice. 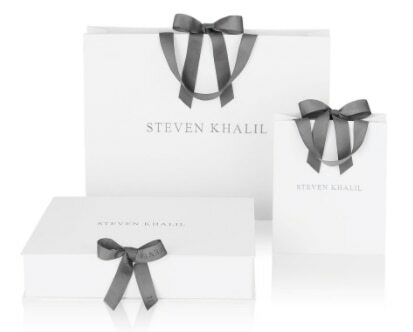 Steven Khalil Christening Gowns arrive in a signature Steven Khalil Box. 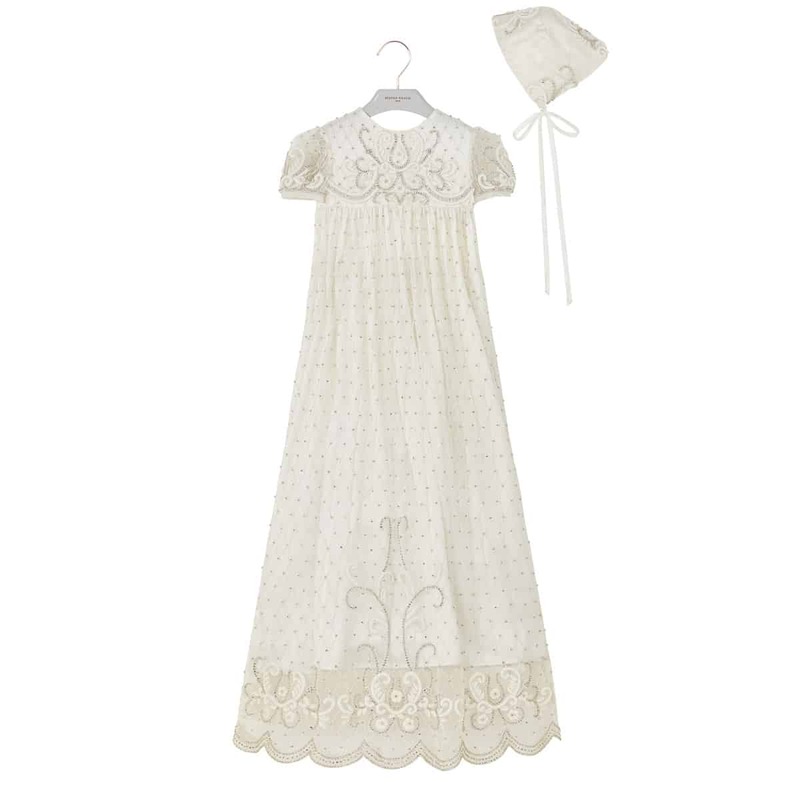 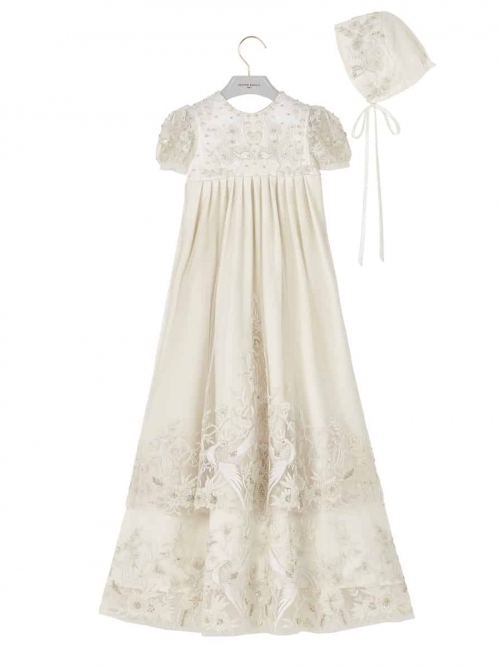 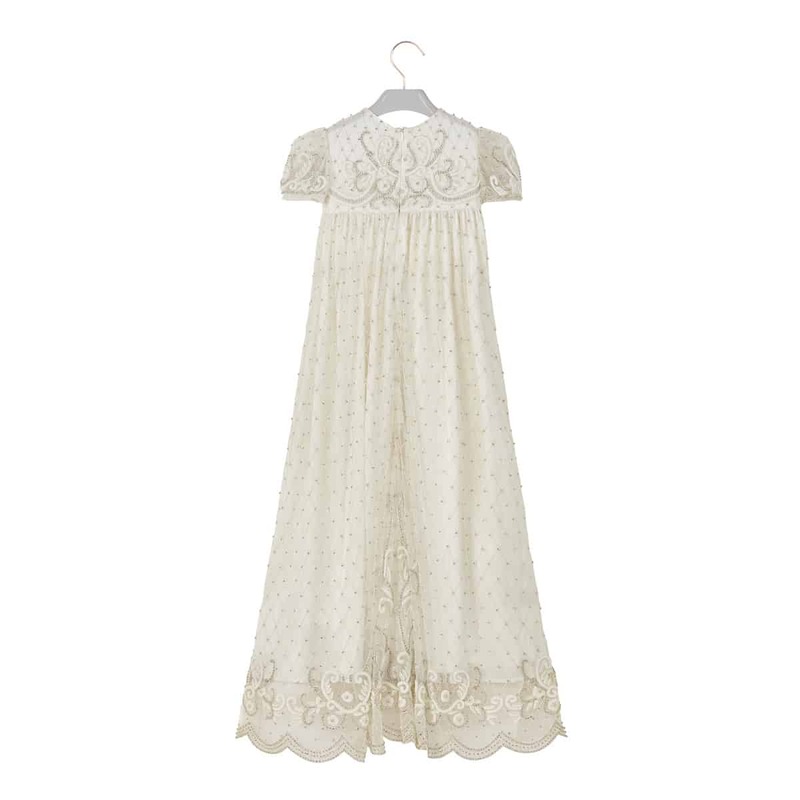 The christening gowns are made to order and the production time is 60 days.